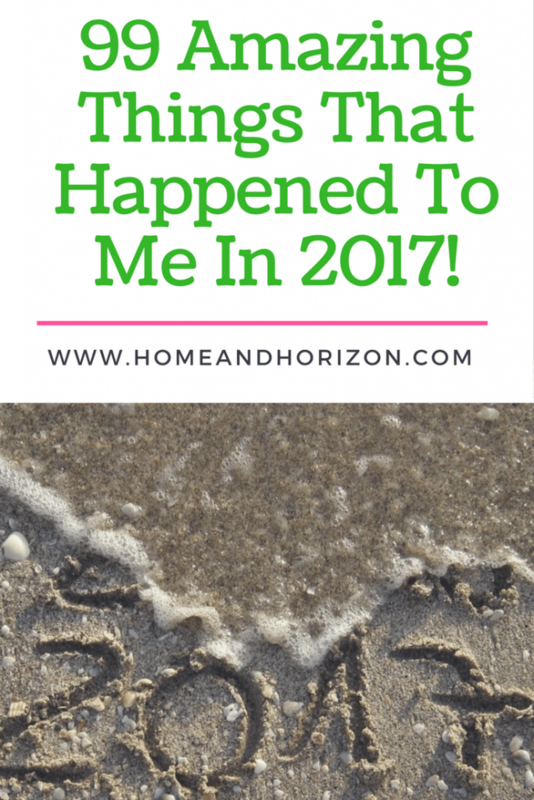 Home It's All About Me	99 AMAZING Things That Happened To Me In 2017! Wow…what a year 2017 has been! And hasn't it absolutely flown by?! At the start of this year I set out to document things that happened – either in my personal life or to do with the blog. As I’ve got the memory of a sieve, all year round I’ve been writing this blog post and have continued to update it and save it in drafts. So I guess you could say that it’s the longest blog post that I’ve kept without actually hitting ‘publish’ – until now! So, here are my highlights of what has been a fantastic year – the good, the bad and the ugly, with links to either the relevant blog posts or videos that I’ve made…. I wrote my first e-book! It’s called 101 UNBELIEVABLE Travel Hacks from Industry Insiders! It’s getting designed and published in January! Whoop whoop! I changed my blog theme at the start of the year – from a free WordPress theme to Soledad (by Pencidesign.com) – it looks SOOOOOO much better. I purchased a new iron and did a review on it. This has become the single most viewed video of mine on YouTube so far, racking up over 17,000 views to date! On 12th January it snowed, so the kids built a snowman and had a snowball fight in the garden. Girlwrighter documented this in a short video. I was invited on a few press trips – but the ones I couldn’t go on were to Japan and Morocco – gutted! I did my annual yearly sale shop at DotComGiftShop and wrote a post about it (and also vlogged about it). I started (and almost finished) a six-week blog course with Aby Moore. I was invited to the NEXT summer 2017 preview show. Here's the blog post – or watch the video. The family and I braved the world’s longest and tallest tunnel slide – it was epic! I started writing for BritMums as their Shopping Hauls Round-up Editor. Girlwrighter stopped believing in the Tooth Fairy and Father Christmas. I had to endure hours of questioning, but my mum finally admitted to her that they didn’t exist. I lost my baby! I tell her that I still believe in the magic of Christmas though! I joined Channel Mum as a vlogger. I also joined Meet Other Mums as a regular contributor. 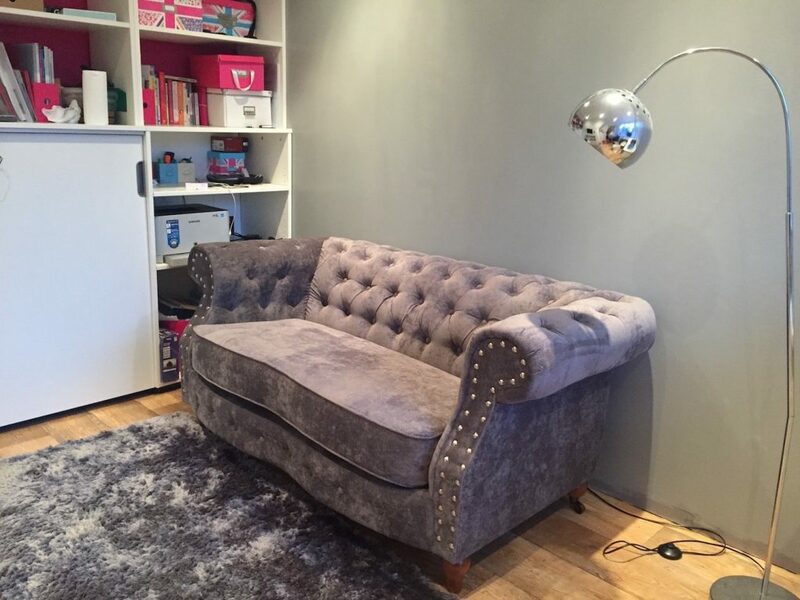 I bought a new sofa for my office area (£435 from lovesofas.co.uk) and it’s still the best sofa I’ve ever bought – even better than the ones I have in my lounge. I had shutters installed for the front of my house – they look amazing, inside and out! I interviewed the Shutter guys – and then danced in my kitchen about it. They are still THE best thing I’ve bought to update the house. I was featured on Icelolly.com's ‘Ask The Expert's Feature' – Destinations to Fall in Love With! I suffered a few health issues, particularly a bad back towards the end of the year and had to get some help. Inspired Wallpaper sent me some super cute wallpaper so I could take my daughter’s bedroom from toddler to tween. Here’s the result! (and check out the video). I took part in a BritMums Twitter chat and won a hamper from @Supersavvyme for my #Letsgetreal comments. I worked with Everlong paint on a household project where I transformed my banister and spindles. I guest posted on a number of websites including (1) My Birdhouse Post on Blissful Domestication and (2) Girl About Townhouse's ‘About Your House'. Cox and Kings let me loose in their online shop to choose something for my home. My office needed an update with paperwork everywhere so I chose this really cool magazine rack. Debenhams got in touch with me – in return for sending me lots of fab goodies, I wrote a spring clean post highlighting their fab wares and accessories. I enjoyed a multi-generational trip to Disneyworld in Florida – it was AMAZING – so much so, that I had tons to say about it and had to break down the write-up into three parts – part 1, part 2 and part 3! ‪Alex from That Butterfly Effect featured me in her #wondermamatribe series. I was let down by a couple of brands – either not contacting me or being misleading, which goes to show life doesn’t always run smoothly – and there are harsh lessons to be learned. I sampled STM Goods’ Laptop sleeve – and I still take it everywhere with me! I interviewed and featured loads of people in my ‘In The Blog Seat’ series! Get in touch if you’re interested! I guest posted on Victoria’s Mummy Times Two Blog about dealing with my son being born with clubfoot in her ‘More Than Ordinary Life’ series. I had a run-in with the clothes shop, Bonmarche – and then decided to stand my ground on principal. 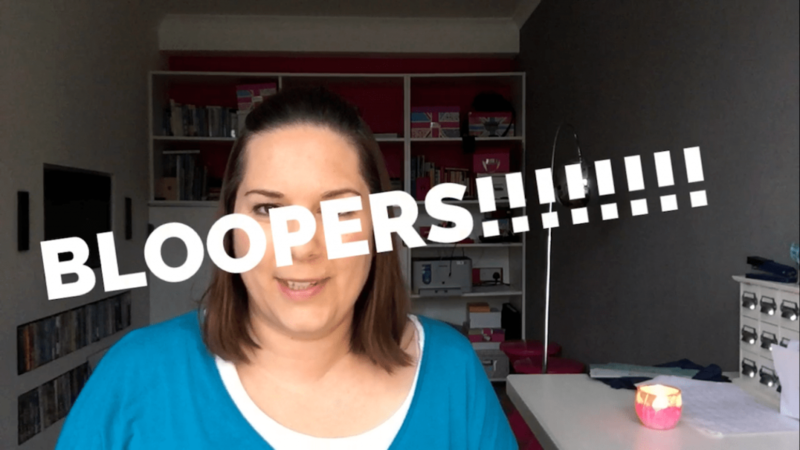 I made a video on my blogging bloopers – because everyone has to laugh at themselves right? I joined a Manfrotto Masterclass in London, offering tips and tricks on vlogging and equipment to use – it was a really worthwhile event. The family and I enjoyed a short family break to Leicester on a ‘Stay, Play, Explore’ offer. I took myself off to the Ideal Home Show – and made a video about it. We got our house painted – again, something I’ve been waiting donkey’s years to do. We’re thrilled with the outcome. I visited Exclusively Housewares 2017 and picked up THREE goodie bags with contents worth more than £150! See what I got! Even though I’m not a fan of beards (are you reading this, VIP?! ), I met the bearded (but super nice) Max McMurdo at Frenchic Paint’s Press & Blogger event in London. I can see why Frenchic appointed him as brand ambassador – he’s so positive and full of energy – amazing. I managed to get myself to loads of autumn, winter and Christmas shows including….Waitrose, Sainsburys/Argos/Habitat, House of Fraser, Lakeland, Dunelm-Mill, Wilko and DotComGiftShop – and that was just the start of them! Most of them I vlogged about. I gave VIP a huge list of jobs to do over the summer (the advantages of being married to a teacher who gets six weeks off!) He completed most of them bless him. We installed a beautiful summerhouse in our garden for the kids to use and cherish for years to come (and for me to keep a close eye on them!) – and then had to apply for retrospective planning. I took part in my first Blogosphere event (the Blogosphere Summer Party!) and then subsequently went to their Christmas Festival. I started a new playlist with @Girlwrighter on my YouTube channel called Tween Talk! We only made one episode so far, so let’s see how many we can do in 2018! I got an intro professionally made for my YouTube channel! And I also got one for Girlwrighter! They were both sourced on Fiverr. We got two rabbits for Girlwrighter’s 10th birthday! Jessie and her daughter, Bo, were from the rescue farm and they are gorgeous. 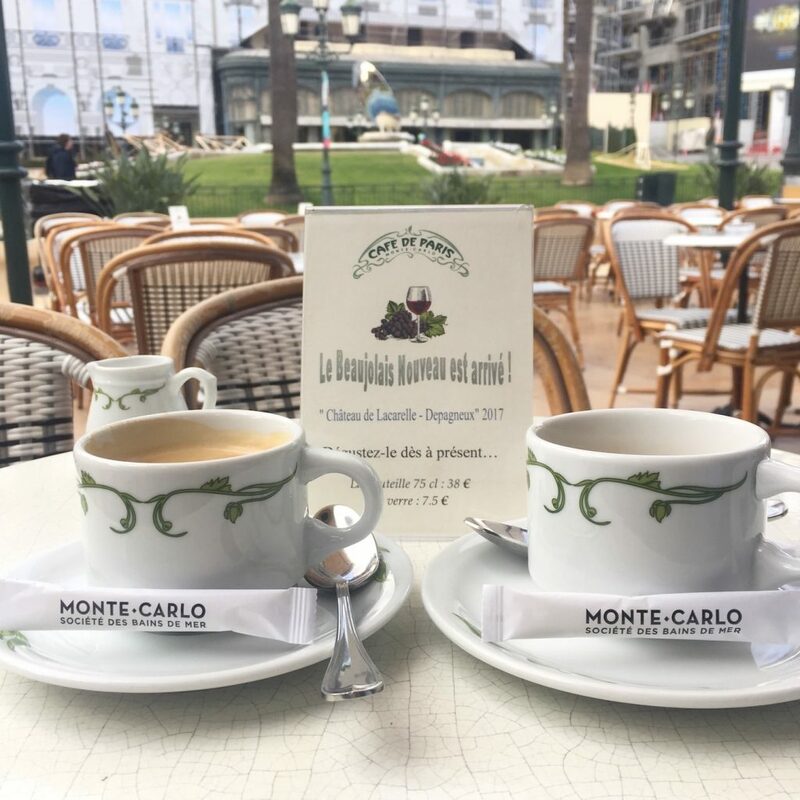 I enjoyed a helicopter transfer from nice to Monaco – and then sat and drank a coffee at Café de Paris. I changed from host provider from Go Daddy to TSO Host. I went on board MSC Preziosa with #BlogCampOnBoard (and then was violently sick on my way home). I met loads of bloggers in 2017 – from attending blog events and online. And I even managed to meet a few in person, which was great! Girlwrighter and I enjoyed a high speed jet ride down the Thames – epic! I might have ‘epic failed’ in getting organised for Christmas, but I bossed getting organised for 2018 – bring it on! I teamed up with Mano Mano to become a regular contributor on its blog by taking part in DIY and craft projects. See my first project! In October I jumped up by 43 spaces in the HIBS to take the 64th position – I took the family out to celebrate with a meal for getting into the top 100, but by December I’d fallen to 75th Onwards and upwards for 2018! I was let down by a PR company who led me to believe we were collaborating; halfway through writing the post, they emailed me to say they had changed their minds. Another company tried to do the same with me but this time I stood up for myself, told them they were unprofessional and that I would have to warn other bloggers about them and how they conduct business – they changed their minds, gave me the job and (eventually) paid me. September was my highest earning month, with just over £350 made. I reminisced about my totally different experiences each time I went to Cyprus. I attended my first NEXT Bloggers Networking Event at the Ace Hotel in Shoreditch with my fellow blogger, Kerry from Kerry, Lives and Loves. Every month, I documented what happened to me blog-wise – who I met, what my ‘epic fails’ were, who I collaborated with etc..
Every week, I update the 10 New Things page – five notable discoveries in travel, and five in interiors. I think DotComGiftShop like me (and the feeling’s mutual!) …I was in their ‘Favourite bloggers’ newsletter – in a piece I wrote about the different interior styles, which you can read here. I was chuffed to be approached to share my views on the future of wearable #technology in this interesting report from Reckless Agency. I was also pretty chuffed to be asked to contribute to the Niix Tricks for Busy Women eBook. The PR told me: “You’ve been a dream to work with and I hope we can work together on bigger projects in the future!” Now that was music to my ears – and makes all the hard work pay off. You can download the guide, for free, in full here. I went on a press trip to Corsica with Mark Warner. As you can imagine, I had an amazing time and I put together a blog post on how the resort offered an affordable family getaway. I also did a review of the hotel we stayed at – the San Lucianu Resort in Corsica. I launched the #SnappedUp Linky where every month bloggers can join the linky to showcase a product review or a shopping haul (blogs and vlogs) and I also give away a prize every month. It’s still taking time to build, but I’m getting there…If you’re a blogger, what are you waiting for? I discovered that you could buy cool £5 Christmas pressies from Sports Direct – and the presents were nothing to do with sports! I watched all seven series of Suits (and loved it) and then decided to write a blog post on why Canada should be on your family holiday radar. Did you know Suits is supposed to be set in New York, but is actually filmed in Canada?! I grew my hair long and discovered a few more greys. Godammit. I turned down a lot of work with brands, simply because either (a) I was too busy work-wise to do them or (b) They didn’t fit my brand. For example, one was about gambling; I’m not a gambler, never have been, never will be, so can’t promote something I don’t believe in. I enjoyed a trip down the Thames on an Afternoon Tea Cruise with City Cruises – lovely. Talking of boat rides, VIP, myself and the kids enjoyed a Boggy Creek Airboat Ride in Florida! I started to save money by doing comparison shopping between supermarkets and shops that offered low-cost branded goods. As an example, here’s a video where I compared a shop at B&M to one at Tesco. VIP installed a new camera security system for the house, with cameras watching the front, the back and inside the house. It’s all accessible from an app on my iPhone which I’ve been using to spy on him when I’m not at home! I kick-started a new walking regime with a couple of friends – we aim to walk for at least an hour a week. A session at YouTube Space London (organised by BritMums) taught me a lot about making videos and getting noticed. Girlwrighter and I played ‘hotel inspector’ and stayed at the Novotel London Canary Wharf for the night. 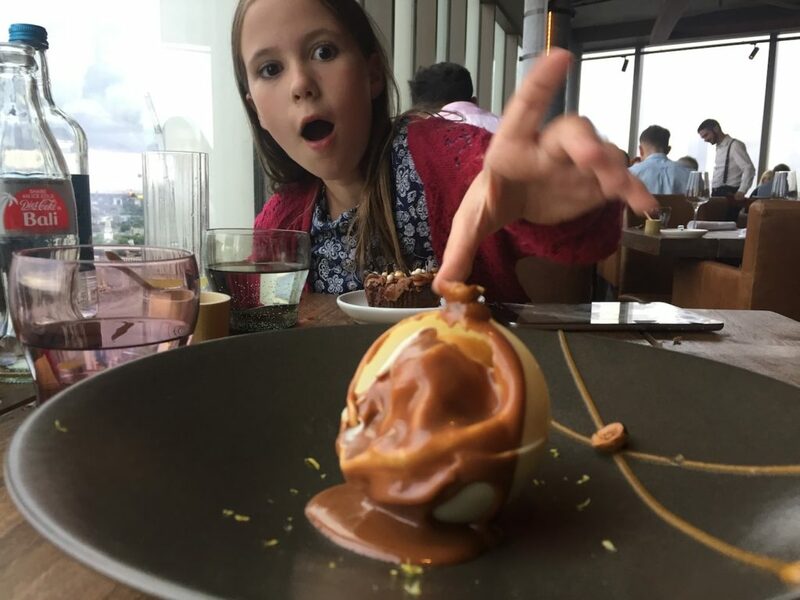 We even ate at the posh nosh restaurant, BOKAN, and then ate sweets in bed. I learned that the one thing successful people have in common is a desire or a dream, and no matter how hard they fall, they always pick themselves up and keep on going until they succeed. I also decided that being successful doesn’t necessarily mean working harder; it’s about working smarter. I gave up my Weekly Scoop videos. I thought they were a great idea at the time (unveiling new deals and products in travel and interiors), but no one watched them! It was too much hard work for too little payback. Instead, I stuck to 10 New Things on The Blog – and newly launched for 2018 will be a monthly ‘Favourite Finds’ category, detailing new and interesting products or ideas that I discovered that month. I grew my newsletter subscribers from 23 at the start of the year to 921. My goal for 2018? To reach 2,000 subscribers. I got signed up by Traverse to speak at their annual conference in April, beating 120-plus other pitchers for just six spots. My session was on ‘How To Successfully Pitch to Editors’ and I teamed up with my lovely blogging friend (also an editor), Tania O’Donnell, to deliver a one-hour session to attendees. The feedback was amazing and I’m hoping to be invited to take part in other events. I wrote about the time I thought I’d lost my son. And then I made a video about him to mark the fact that he started secondary school. I went a bit crazy on Black Friday, spending just over £177 for tools for my blog. The good news is I saved more than £3,000 just by purchased them on Black Friday or Cyber Monday. My purchases included lifetime access to Grum, Blogger Journals as competition prizes for my Linky, lifetime access to Invato, Mac Virus & Malware protector, Wisestamp for email signatures and Website Auditor for help with things like SEO ranking. If I’m honest, most of the systems I don’t yet know how to use, but at least I’m now prepared! I was appointed brand ambassador for B&M Stores – one of my favourite stores! I admired (and got inspired) by loads of people – just to name a few – Darren Rowse at Problogger, Donna Moritz from Socially Sorted, Aby from You Baby, Me Mummy, Neil Patel from Neil Patel. Closer to home – my lovely friends have all provided me with some great business ideas and blog inspiration – a huge thanks to Kris Valaydon, Nicky Valamakis, Aurora Enghis, Pamela Eweje, Muzzie Behcet, Emma Stone and Wibke Carter, just to name a few. This year wouldn't have been the same without your positivity, encouragement & support guys – thank you.A huge ‘thank you’ to all the people that made this year particularly great – the kids, my parents, Marie Carmen Valencia and my very special VIP! So tell me, what are your highlights of 2017? And what goals have you set for 2018 – I’d love to hear them! That’s great to hear – thanks Sharon! Thank you Melisa- and here’s hoping 2018 will be a good one for you too! Cheers Hannah – and happy New Year 2018! Fabulous ….well done! One room done and best of luck with moving on! Wow what a year! I love this, what a lovely way to reflect on the year just gone. I’m totally with you on the grey hairs though! What and incredibly year – you achieved so much! 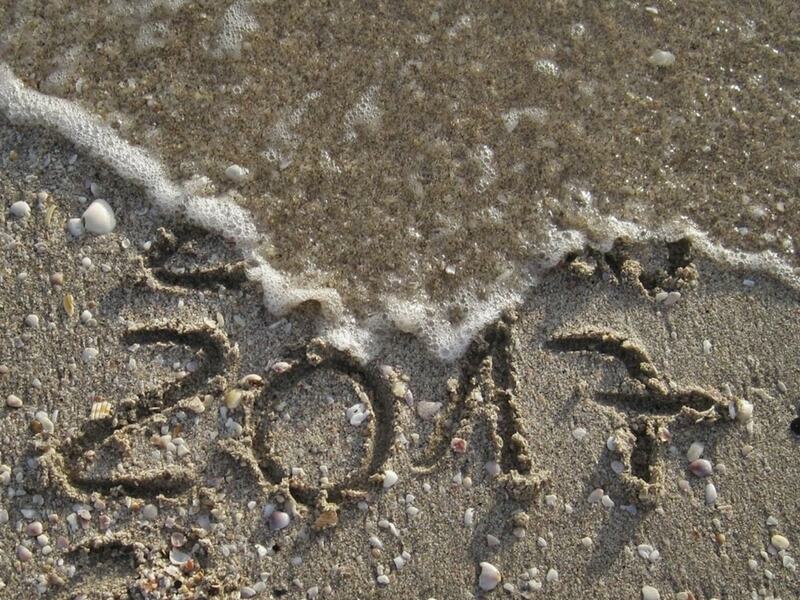 I hope all your wishes for next year come true – lets make them happen! Wow you had a busy and fun year! Posts like this are so fun and so great to reflect on! Thanks Adriana – yes, it’s great to look back and see the progress, thank you! Ah that’s great – you must have so many happy memories of the city – and how lucky you were to live there for a while….I bet it was magical at this time of the year! Thanks so much Elizabeth – all the best to you too! That’s one of the reasons I did this it’s nice to recall what happens each year….hope I’ve inspired you! You really have had an amazing year well done to you! I love that you are getting your first E book published in Jan incredible and amazing that you have a YT video with 17 K views. Thanks Ana – the ebook was meant to happen much earlier of course, but better late than never I guess! Wow what an amazing 2017 you have had, I’m going to have to sit and go through some of your posts and videos when I have a moment. I really hope that 2018 brings you so many more amazing things! Thanks so much Sarah – All the best for 2018 to you too! what a fab post to keep a record of all your achievements and things you got up to! How amazing to join Channel Mum as a vlogger! Thanks Rebecca – a few nice surprises along the way…onwards and upwards as they say! I love your list. I am also glamming on to the holiday shopping one. Great timeline. Thank you Elsie – glad you like it! I’ll try it again for 2018! I totally agree!! The year has gone so fast it’s scary!! I think the older you get, the quicker time speeds up! What a really fun idea for a post and so many amazing things happened for you this year! Hopefully 2018 will be bigger & better! Ah thank you – I do hope so! What a busy year you’ve had. I love reading grattitude lists like this. Interested to hear more about 92!